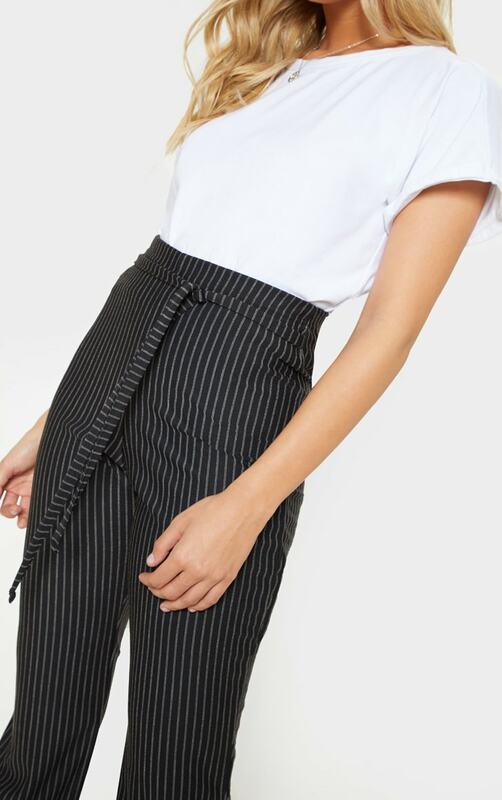 Add some style stripes your look with these pants. 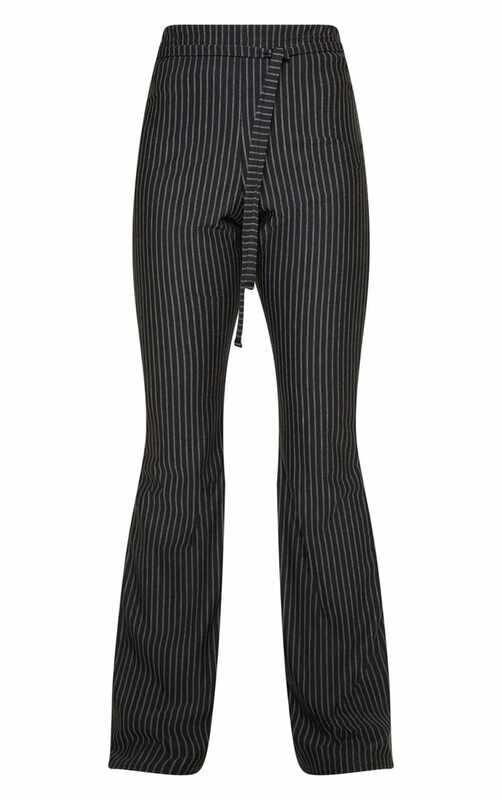 Featuring a black material with a contrasting pinstripe a tie waist detail and a flared fit. Team this with a simple t-shirt and fresh kicks for an off-duty look we are loving.